A mom goes to great lengths to rescue her son’s favorite doll in this delightful tribute to treasured toys—and mothers. Teddy has a lot of cool toys. But his very favorite doll has the best manners, the sickest fighting skills, and a fierce sense of style. Then one morning, something truly awful happens. And there’s only one woman fierce enough to save the day. Can Teddy’s mom reunite Teddy with his favorite toy? Christian Trimmer is a children’s book editor and writer. 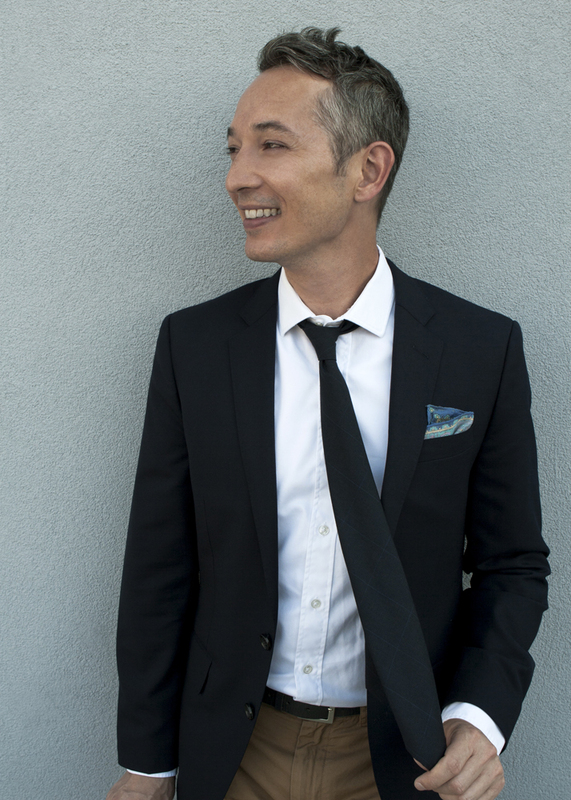 He is the author of Simon’s New Bed, Mimi and Shu in I’ll Race You!, Teddy’s Favorite Toy, and Snow Pony and the Seven Miniature Ponies. He lives in Brooklyn, New York, with his partner. Learn more about him, his books, and lots of other things at ChristianTrimmer.com. Madeline Valentine grew up in Brooklyn, New York, and received a BFA from Pratt Institute in 2007. 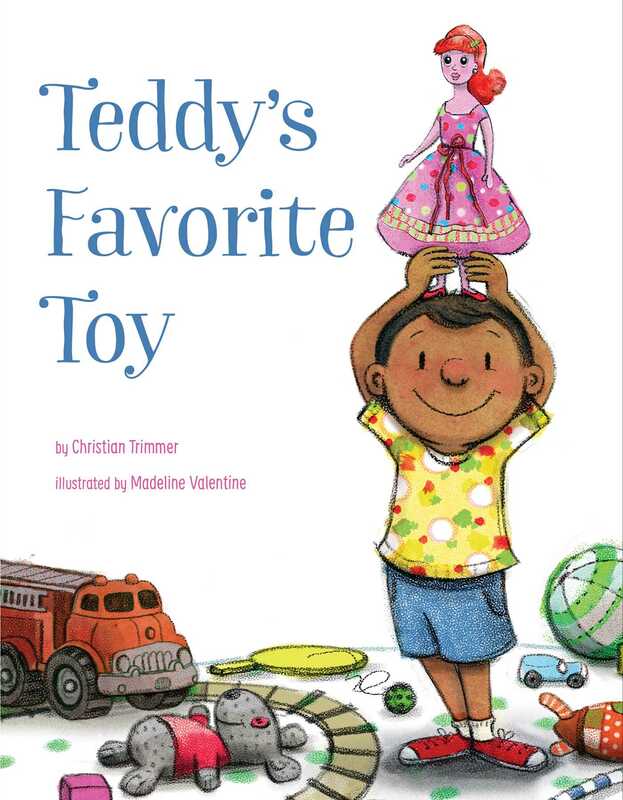 She has illustrated five children’s books, including Teddy’s Favorite Toy by Christian Trimmer. She is also the author-illustrator of George in the Dark and The Bad Birthday Idea. She currently lives in Queens. Visit her online at MadelineValentine.com. * "Joining the plethora of gender-norm-defying picture books comes this refreshingly bold story that makes its message clear without being pedantic.... What makes this book so appealing is the back-and-forth dynamic between the text and images.... Simple, sophisticated language...suggests a respectful alliance between mother and son, and is perfectly complemented by charming, gouache-and-pencil illustrations that capture the characters' emotions as the story unfolds. Slightly older readers can unpack other layers about social norms and diversity, but all will appreciate this dynamic book's adventurous yet relatable style." * "Teddy’s favorite toy is Bren-Da, Warrior Queen of Pacifica. She’s a pink-skinned Barbie-style doll, and Teddy’s play with her ranges from action-hero combat sequences (“She has the sickest fighting skills”) to extravagant fashion looks worthy of Project Runway or RuPaul’s Drag Race.... After Bren-Da’s leg falls off, Teddy’s mother mistakenly throws her away.... Teddy’s mother takes his anguish seriously. Valentine’s gouache and pencil drawings blend action and comedy as Teddy’s mother chases the truck with daring moves worthy of Bren-Da herself. “Yas, queen!” Teddy shouts in exultation. Trimmer’s smart, closely observed portrait celebrates a boy and a mother whose relationship grows out of mutual respect. Although it’s left unsaid, Teddy’s play resists gender stereotyping in that he’s allowed the freedom to play with whatever toys he likes in whatever way strikes his fancy—and the result is an imaginative free-for-all." "Knuffle Bunny is reimagined with dialogue and a dash of suspense. . . . Trimmer's simple story of a universal experience will captivate young readers and have them rooting for Teddy's reunion with Bren-Da. Teddy's problem-solving abilities also serve as a useful model. Valentine's illustrations bring the story to life with creative depictions of orange-haired, pink-skinned Bren-Da's style and humorous portrayals of Teddy's and his mother's actions. . . . The story gently pushes gender norms by showing a doll as Teddy's favorite toy and Teddy's mom as nothing short of a superheroine as she tries to get Bren-Da back. A heartwarming story that uses an everyday occurrence to push the envelope on many fronts." "Inspired by a favorite childhood toy, this book tells the typical story of a lost and found plaything. What makes this particular version of an age-old tale stand out it that Teddy’s favorite toy is a pink Barbie–esque doll whom he has named “Bren-Da, Warrior Queen of Pacifica”.... With a triumphant text declaring 'Yas, queen,' this is a very modern take on the lost and retrieved favorite toy." "The story’s implicit messages—that it should be unremarkable when boys play with dolls; that parents can become superheroic to do right by their children—ring loud, true, and (in a book full of comical flourishes, particularly in the mixed-media illustrations) funny...in terms of presenting gender nonconformity as perfectly normal, it’s ahead of the curve."